This evening marks the opening reception of a prestigious international Sergei Rachmaninoff piano competition, which will be held in the historic 19th-century neo-Renaissance Russian Embassy building in Istanbul’s Beyoğlu district. A triennial event first held in Moscow in 2002, Turkey has been chosen to host the 2011 competition in an effort to encourage young Turkish musicians and also broaden cultural relations between Turkey and Russia. 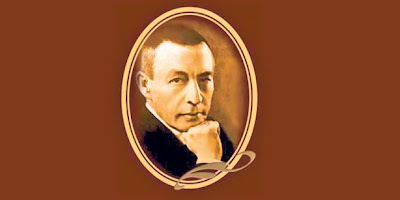 The three-day event, coinciding with the anniversary of the birth of Rachmaninoff, the Russian composer widely considered to be one of the last great representatives of Romanticism in Russian classical music, is a joint project between Turkey’s Ministry of Culture and Tourism and the Association for Business and Friendship Between the Russian Federation and Turkey (RUTİD). Aleksandr Sokolov, a former Russian culture minister and rector of the Moscow P.I. Tchaikovsky Conservatory, and Turkish Culture and Tourism Minister Ertuğrul Günay, both of whom have been integral in initiating the competition, will be in attendance at the opening of the event. Günay will then host a dinner in honor of the members of the star-studded panel of judges comprising a range of prominent Turkish and Russian musicians. The panel will be headed by 93-year-old internationally acclaimed pianist Professor Victor Merzhanov, who extended his best wishes to the finalists in a written statement, urging them to seize this valuable opportunity to exercise their creativity to the maximum.